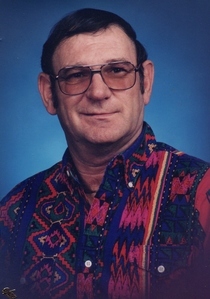 Tony Martin “Creek Monkey” Morris, 70, of 140 Hooper Ave., Yanceyville, (formerly of Roxboro, NC) passed away into the arms of his Lord and Savior on Tuesday, April 9, 2019. Born in Alamance County, he was the son of the late Frank “Buck” Morris and Ruby Horner Morris. In addition to his parents, he was preceded in death by the love of his life, his wife, Nell Whitt Morris; and two brothers, Larry Morris and Frankie Morris. Tony served in the US Navy during the Vietnam War. He was among the limited Navy Veterans that were in active combat during that war and served as a Marksman. He received a Heroism Medal, a Bronze Star, and a Good Conduct Medal. Tony had a very special spirit, a kid at heart. He left a lasting impression on everyone that he met. He was a wonderful man and will truly be missed by those that knew and loved him. Surviving are one daughter, Kristy Carver and husband Jimmy of Roxboro; one sister, Jo Carolyn Kelley and husband Billy of Roxboro; two grandchildren, Stephanie James and April James, both of Roxboro; two step grandchildren, Tina Carver and Jessica Carver, both of Roxboro; one great grandchild, Brayden Adcock; seven step great grandchildren, Olivia Carver, Cami Lewis, Landon Bowes, Sadie Bowes, Laci Bowes, Justin Bowes and Connor Bowes; caregiver Cheryl Fuqua, his dear friend and special caregiver Joyce Oakley, and his full time caregivers, a very special nephew and niece, J.R. and Charlaine Whitt . Funeral Services will be held 11:00 AM Saturday April 13, 2019 at Beulah Baptist Church, 1834 US Hwy 158E, Yanceyville, NC by Rev. John Pritchard and Rev. Rick Lancaster. The family will receive friends from 6:30-8:00 PM on Friday, April 12, 2019 at Harrelson Funeral Services Chapel and other times at the home. Harrelson Funeral Services of Yanceyville, NC is privileged to serve the Morris Family. The families of Beulah Baptist Church are lifting you up in our prayers for God’s blessings of comfort and hope.